Why do some entrepreneurs soar to the highest heights while others plummet like a lead balloon? If you think there is no single reason for success or failure, you're right. There are, in fact, seven of them. World-renowned entrepreneur, elite speaker and best-selling author Jim Cathcart has spent a lifetime examining high-value relationships and their role in entrepreneurial business success. 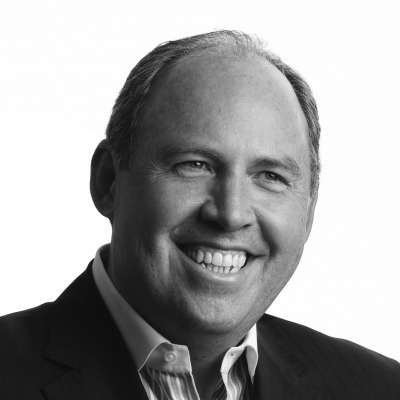 He spent much of 2014 interviewing 100 self-made millionaires about their paths to success. He learned that the vast majority of the members of this select group possess the following seven key traits -- all of which have helped them achieve excellence. 1. They succeed "on purpose." Not one of the entrepreneurs Cathcart studied stumbled into success blindly. They all are highly intentional in their efforts to achieve great things. Success on purpose requires the ability to boldly commit to goals that you don't yet know how to reach. That commitment, in turn, fires the inspiration to find the capabilities needed to make those goals happen. "Until a goal is committed to, there is no magnetism -- it's just something you've thought about," says Cathcart. "Once you commit to achieving it, then it starts drawing you to the questions, challenges and dilemmas for you to resolve so that the answers can reveal themselves." 2. They are voracious students of success. All of these top 100 entrepreneurs are what I call lifelong learners -- they are constantly reading, listening, going to meetings, pulling people aside who were smarter than them and asking them questions. Cathcart notes that the essence of intelligence is making distinctions -- noticing the details, patterns and principles in things. If you decide to become more intelligent about your business, the first thing you should notice is what's going on in a broader context and then zero in: What are the patterns here? How can I learn that? Should I use that? What does this lead to? 3. They intentionally change themselves as needed. These entrepreneurs continually look at their own attitudes and behaviors objectively to determine which habits are holding them back and which ones were increasing their success velocity. Then they change their ways to eliminate the bad habits and focus on the good. 4. They don't go it alone. None of the millionaires achieved their success by themselves. Instead of trying to be strong and independent "lone wolf" types, they connect with other people in smart ways that can multiply their talents. They are always looking for ways to be well-connected through resources such as mastermind groups, where like-minded entrepreneurs share ideas and help each other figure out how to best address challenges and opportunities. 5. They focus on their unique strengths instead of trying to improve their weaknesses. Cathcart found that these entrepreneurs are careful to use the prime time of each day to do the things they excel at, because those strengths are what multiply their outcomes exponentially. Then they relegate the things that they aren't particularly good at to others -- outsourcing to someone else or getting an app that will do or track a task for them. The key to this behavior is to be comfortable with your own limitations and not view them as a curse or shortcoming. Be willing to say, "I'm not good at _____" and then find someone else to do it so you can focus on what you do best. 6. They are generous and eager to share their knowledge with peers. The caveat: The entrepreneurs are happy to share advice and tips as long as the recipient of that generosity is humble and willing to do the work needed to grow. Top entrepreneurs don't waste time on people who aren't invested in getting the job done. But when they see people who are willing to go the extra mile, they share insights, encouragement and connections with them. 7. They are deemed to be highly trustworthy and likable. In contrast to the idea that great business owners must greedily claw their way to the top, these 100 entrepreneurs are viewed by others as good people -- "the type of people you'd want raising your own kids if you had to," says Cathcart. Trustworthiness and likeability come in large part from showing a willingness to be open and vulnerable, and to tell others the truth about what you're dealing with and aspiring to. Take a look at this list and think about how many of these seven traits you currently possess -- and which ones you lack. Conduct a personal inventory of your strengths and weaknesses so you can take steps to adopt the key characteristics that can help you overcome your hurdles and reach a level of success you might never have thought possible. Even if you already enjoy huge success, you can take your business and your life to new heights by adopting these best practices used by elite entrepreneurs every day. 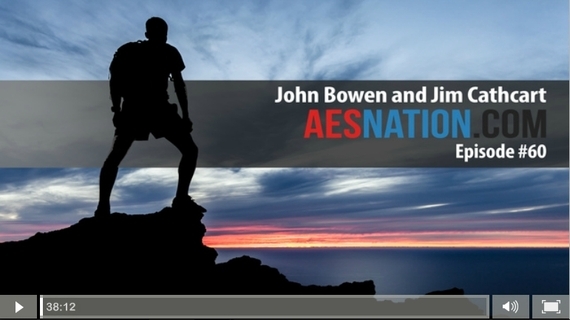 Check out AES Nation every day for bold insights and actionable advice from elite entrepreneurs who have achieved huge success.